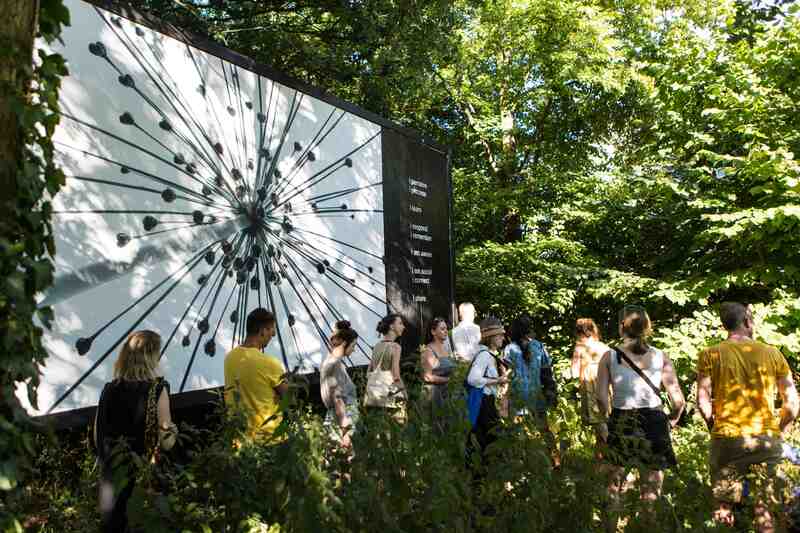 I was invited to take part in the Imagine 2020 Summer Lab, hosted by Artsadmin, with 16 other folks from across Europe. It was a sunny 5 days exploring East London and as we dosed up on Vitamin D and new found energy, we powered through an intense week together exploring ecology and action. Little did I know how much I needed this week of nourishment, communing, playfulness and hope in alternative futures. 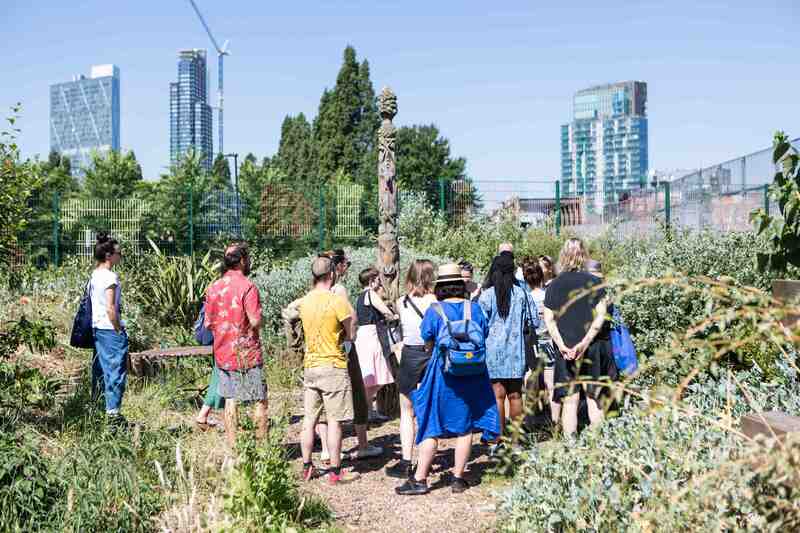 From bringing things back to basics thinking about the soil under our feet to bat houses high up in the trees in Bethnal Green, here's my experience of the Summer Lab. After meetings and eatings on the first night, on our second day we walked together to Spitalfields Farm, greeted by an array of animals and an abundance of food growing. Built on squatted allotments, Spitalfields Farm has an open door policy, visitors are free to wander in and out as they please, providing a diverse greenery for kids, growers and whoever may stumble upon it. For lunch food activist, Mama D, led us in a workshop about empathy and art making using earth-based materials. She posed questions as we ate together and meditated over statements like “We feel things, not as they are but as we are". "This isn't pick your own" a volunteer cried to some ladies by the lettuce - they feigned a misunderstanding. Huts and sheds and shade and mini hotels for bugs - they made a space for all living beings alike. like they were made into his very own catwalk. not even slowly solidifying concrete could tell him where to go. far enough away he doesn't bully the other furballs. I didn't much like this ferret - I felt like they were condoning bad behaviour. the passing train was a giant wave for a moment. They trained the seedling to toughen to the English rain. curling and intertwining, grabbing hold of green thread. maybe overtime they can germinate, overtake and populate. In my eyes, this whole place was a giant pick your own. We then returned to Toynbee Studios, walking together and decompressing our experience of the morning. Instructed to dress smartly, we were then thrust into a workshop with performance artist Scottee, who facilitated a 'Blind Summit' where we talked about our incompleteness as climate conscious folks, revealing our 'shameful' habits (such as eating too many crisps). The workshop moved quickly using tools for discussing big climate topics, challenging our intellectual language. We were encouraged to dream solutions and support each other with generosity. A tour to the Phytology Gardens followed where I met my first Diplomat who told us about his time slowing down and getting in touch with his creativity through letter writing in the small hut in the gardens. He talked frankly about the disparity between policy-making and being inspired to slow down in a garden. 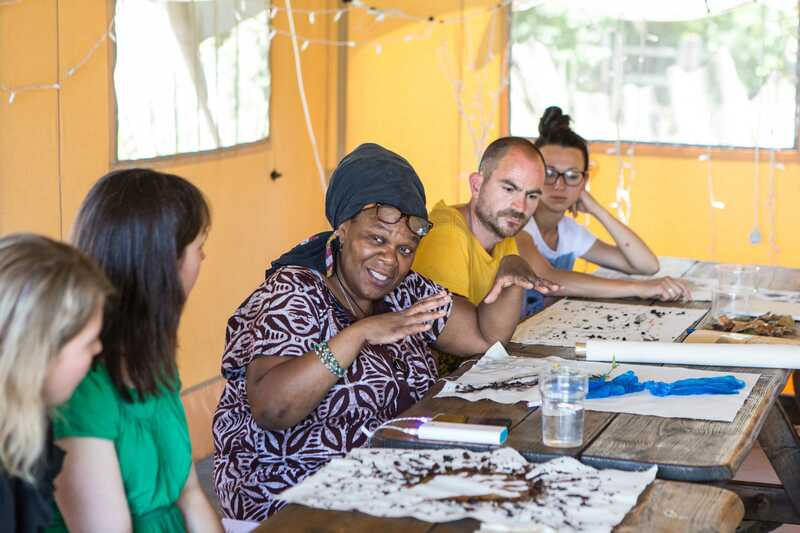 The Phytology is a space fusing DIY environmental workshops (for example constructing a compost toilet), artist residencies and a medicine garden. They've created sculptures that function as bat sanctuaries in their woodland. Then on to The Brick Kitchen, a high-end food experience where we consumed foraged food and ate a delicious ant! The next day we visited The Bank Job, my favourite project of the week (I was inspired to tears), in Walthamstow. It's an ex-bank building that has been taken over by a husband and wife duo who are doing something amazing for their local community. The Bank is changing the narrative around money, raising money to pay off local debt (such as pay day loans) through “printing money”, mini-artworks with portraits of cornerstones of the community on them. You can buy this money on their website. We all then piled in to a long-standing vegan café for healthy food and few ginger beers before heading off for urban foraging around Brick Lane with Maidie Van Den Bos. The group collected plants and flowers that appealed to our senses which then became sugar syrups for cocktails, my group were fond of fennel and we created a really delicious vodka-based mix. On the final day of activities was a four hour session with the wonderful Open Jar Collective, their project Soil City at Glasgow International a few years ago catalysed their work around mapping soil in cities. 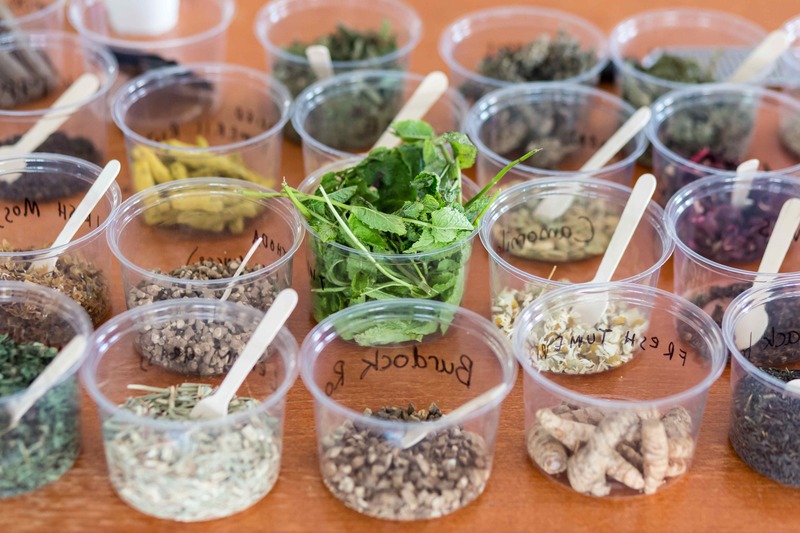 We concocted our own soil teas using ingredients including lichen, nettle and moss. We thought from the soils perspective, talked about what we know now about soil and dreamt of actions for soils future ,which led us into block printing some slogans and calls to action for soil with some folks actually using soil to do this. Then onto a lovely café in Deptford for digestion and digesting of the day. As you'll have read, we were well-fed for the entire week, reaffirming for me the importance of communal meals with strangers and healthy food during an intense week of exploration. I felt that we had opportunities to play and be brought down to earth, literally and figuratively through playful exploration. When working as a freelancer with a niche specialist interest (climate, natures systems, community and art), being invested in and provided for feels hopeful. The projects and people that we met were truly grassroots and often taking risks in-spite of the ever-towering hierarchical economies of greed, profit and people counted as numbers. Check them out! Jo Matthews is an Artist, Producer and Researcher jojomatthews.art | @jojomaffyews (Instagram).